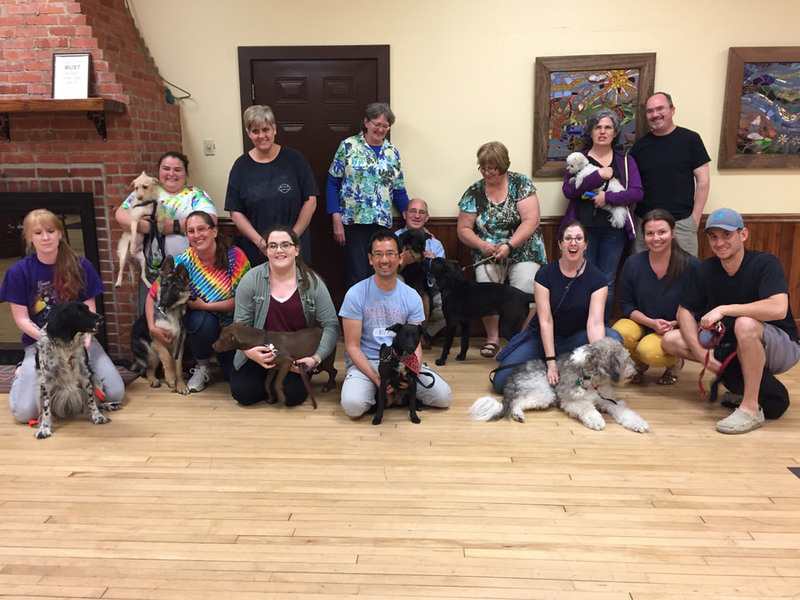 We believe in positive, gentle training, and we show you how to establish clear, effective communication with your dog. We use loads of praise and treats, and we strive for both you and your dog to have lots of fun and to look forward to class. We believe in positive, gentle training, and we show you how to establish clear, effective communication with your dog. Pet dog training should use positive reinforcement methods. We include exercises and games to promote learning and to make class sessions enjoyable. We incorporate three basic principles in our program: establishing a good relationship between you and your dog, practicing appropriate management techniques, and training behaviors you want your dog to exhibit. Well mannered dogs should sit, lie down, stay, walk calmly on a leash, come when called, pay attention when requested, and leave things alone when told. Our total pet dog training program teaches these skills and also includes behavior problems prevention and solutions in such areas as jumping up, chewing, house soiling, and getting along with people and other animals. 6 classes (1 hour each). Classes are limited to 10 dogs, but they are often smaller, if possible. Private instruction available upon request. Cost is $200 + Tax for 3 hours of instruction in your home and tailored to your needs. Classes are held indoors at BOPARC’s Marilla Center in Sabraton. There is plenty of room, and all family members are encouraged to attend and participate. In good weather we may utilize both the indoor facility and the surrounding park. Treat your dog to a walk in the park before or after class! We offer classes year round. At Dog Tags you are not just a part of a group. You and your dog are unique! To discuss your training goals, give Carol a call at 304 296-7924 or fill out the application form below. © 2019 Copyright - Dog Tags Training School.